Hill Country Middle School invited professionals from nearby districts to come see our classrooms and how we’ve been using the iPad. It was great to share with others who are embracing the iPad as a learning tool. 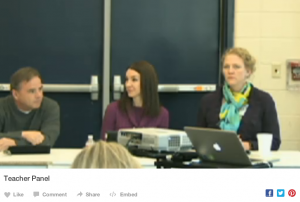 Check out our “teacher panel” session after folks observed our classes for some candid sharing about the successes and challenges we’ve faced integrating iPads this year.